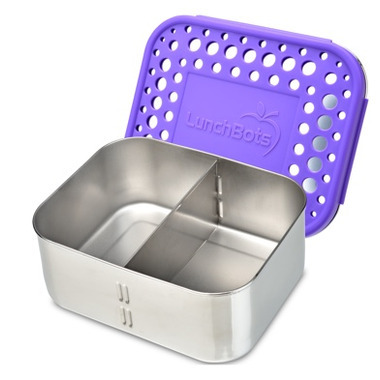 LunchBots Deep Duo is perfectly sized for the tallest sandwiches and snacks. 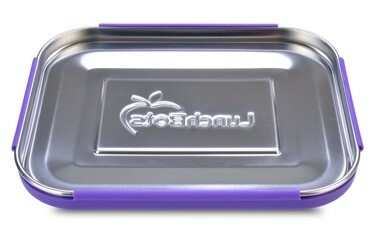 Its removable divider slides in and out easily giving you one or two sections for maximum meal packing flexibility. 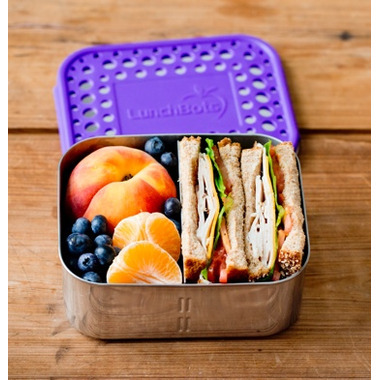 The all- stainless container and lid are enhanced with a snap- on, BPA- free, colourful plastic cover. 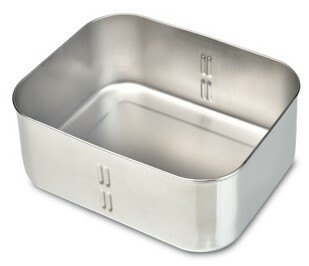 The cover is attached securely to the lid and can be washed in the dishwasher while attached. It can be removed for occasional thorough cleaning. Dimensions: 6" x 5" x 2.5". Each Section: 3" x 5" x 2.5"